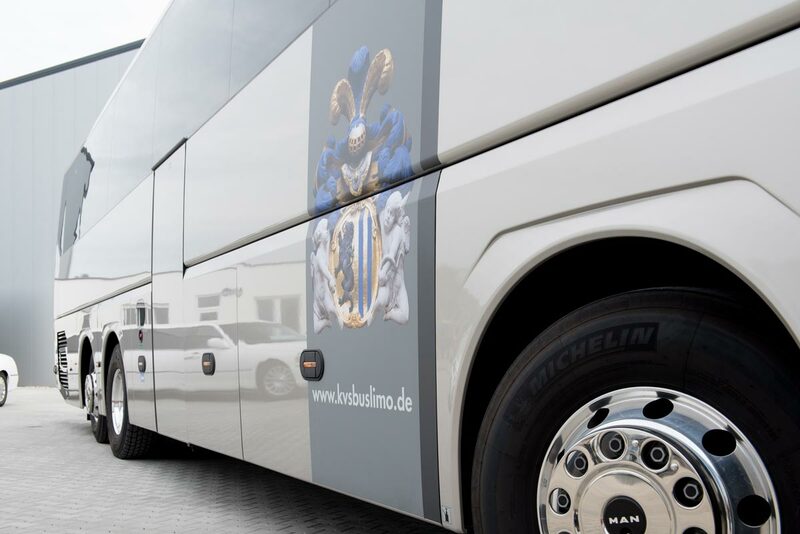 KVS Bus und Limousinen Service GmbH from Leipzig hires out modern and comfortable coaches as well as for private customers, tour operators, companies, clubs, bands or music ensembles on tour. For small groups of 4 to 8 people we can offer you vehicles of the type VW Multivan and VW Caravelle plus driver. As an alternative or for even smaller groups you can also use our Limousine Service. For groups of up to 36 people we have VDL Bova coaches, IVECO midi coaches and Mercedes-Benz Sprinters ready for you. For larger groups of up to 55 people we can offer MAN Lions Coach luxury coaches. Or any other kind of event? We organise the logistics and the driving service for group transfers of 11,000 people and more. Our drivers have many years of driving experience and regularly take part in driving safety trainings. All our vehicles and drivers are subject to the strict guidelines of the German Passenger Transport Act (Personenbeförderungsgesetz, PbfG) and the company regulations for road transport (Betriebsordnung Kraftverkehr, Bo-Kraft).